Torr Achilty dam measures 245m wide by 23m high. Its design includes flood gates to control the River Conon’s flow downstream. Behind the dam, the main purpose of Loch Achonachie isn’t to store water, but to absorb any sudden changes in the river level. 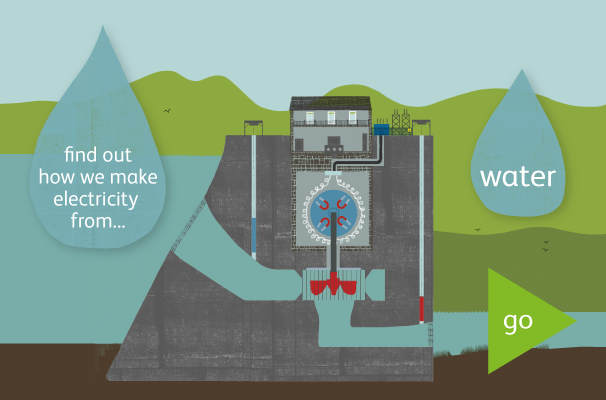 Water from the entire Conon scheme eventually goes through Torr Achilty power station, located inside the dam. The turbines discharge into the Beauly Firth. The Conon Valley is one of the major west-east valley systems extending across Scotland. This area of the northwest Highlands receives heavy rainfall throughout the year. The Ross-shire Electricity Supply Company built the region’s first hydropower station at the Falls of Conon in the 1920s. 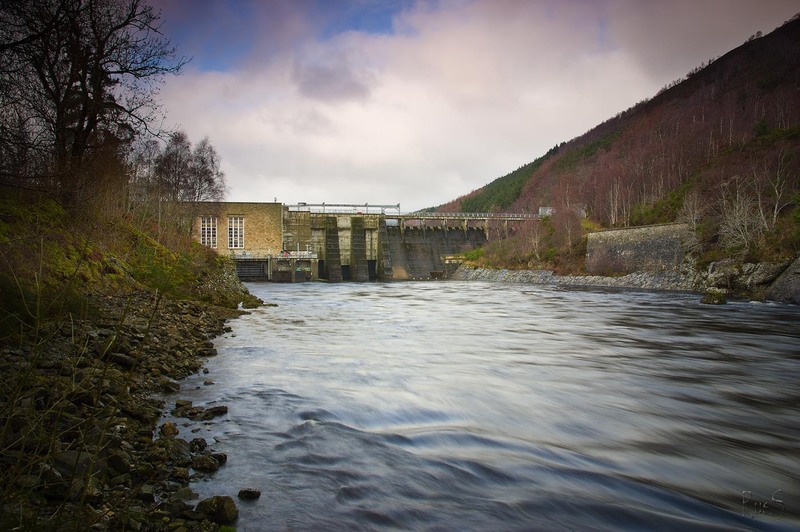 Today, SSE’s Conon Scheme includes six major dams and seven power stations. These were built in three phases between 1946 and 1961. There is a total fall of 255m from the scheme’s highest point at Loch Droma (270m) to the outlet of Torr Achilty power station. Some of the water passing through this scheme is used up to three times to generate electricity. During construction of the scheme, workers moved a main line railway station and over 3km of track. They also built or improved about 48km of public and private roads. Between 1948 and 1965, an average of 4500 men worked on hydro schemes in Scotland. Scots, Irish, Polish and Czechs worked alongside German and Italian former prisoners of war.